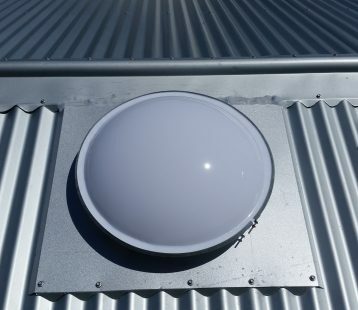 We offer a variety of tubelights for metal deck, corrugated and tiled roofs. 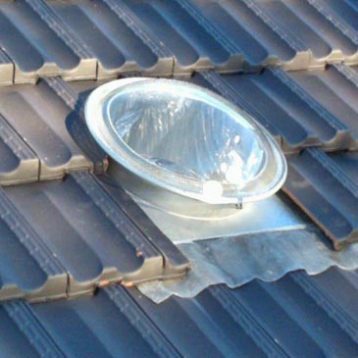 In addition to carrying a range of standard tubelights in kit form in stock (including flexibile shafts/architraves and diffuser) we can also provide a variety of custom circular skylights on request. 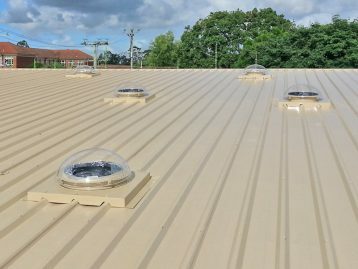 Includes Clear Acrylic Dome, All metal base, Roof flashing for Corrugated Iron Roofs, 1.5 Metres of Flexishaft, architrave, diffuser and fixings. Includes Clear Acrylic Dome, All metal base, Roof flashing for Metal Deck Roofs, 1.5 Metres of Flexishaft, architrave, diffuser and fixings.